When life sciences and healthcare organizations look at their medication compliance numbers, they often feel like a baseball manager with a slumping hitter. The data shows that the hitter is 0 for 22, with 10 strikeouts, over the last few games. But it offers little guidance on why the player doesn’t appear to be able to hit water if he fell out of a boat or what the manager can do to get to the hitter back on track again. That scenario is starting to change, however, as life sciences organizations move away from a focus on simply selling pharmaceuticals and devices to once again becoming active contributors to patient-based outcomes. Taking a cue from population health management (PHM) and the consumer products industry, life sciences organizations have a unique opportunity to use a broader dataset in combination with a new generation of advanced analytics to group individual patient attributes and behavior patterns into a smaller subset of risk-based personas. They can then use the understanding that comes from these analyses to collaborate with payers to change how programs are designed, as well as to create solutions that drive compliance. The result is that life sciences organizations are becoming active contributors to better patient outcomes rather than passive observers. Given the overall emphasis on outcomes as healthcare moves from fee for service to value-based care, that’s a great position to be in. Traditionally, life sciences organizations have used claims data to track commercial effectiveness. The data shows prescribing patterns and compares them to fulfillment. This type of analysis identifies that there is a problem, but isn’t very useful in drilling down to a solution. To solve this concern, next-generation life sciences analytics are accessing a much wider selection of datasets – such as de-identified clinical data from electronic medical records (EMRs), and socio-economic, lab, financial and patient satisfaction data. They’re also scraping patient sentiments from social media and other sources. Having access to all of this data provides a 360 degree view of patients in order to understand what motivates them and what barriers need to be removed. Here’s a simple example. Elderly patients in general do not like making left turns, especially across broad, busy roadways. Nearly 20 percent of the population of Florida is age 65 or above. 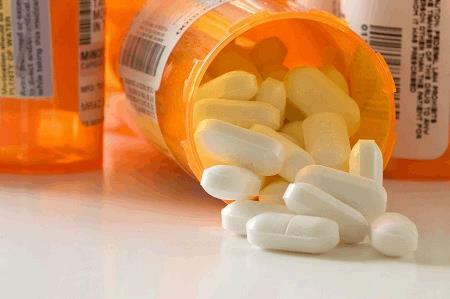 If the closest pharmacy to an elderly Florida resident requires two left turns, and the next closest is judged to be too far away, they may choose not to fill (or refill) their prescriptions, thus reducing the long-term quality of outcomes. Claims data alone will only show prescriptions aren’t being filled. But the combination of understanding the behaviors of patients who fit certain criteria/personas, along with data on their geographic location in relation to nearby pharmacies, provides information to suggest alternatives that will help improve compliance. At their core, personas are fictional characters created to represent different consumer groups that might use a product or service in a similar way. Consumer products companies are masters at this, combining socio-economic, geographic, sales and other data to ensure every inch of shelf space has the highest potential to sell products quickly. There is a reason certain products are available in some neighborhoods and not in others a couple of miles up the road. And it is data-driven. This same approach can be applied to life sciences. The Big Data that has been gathered in recent years regarding many aspects of healthcare has now reached critical mass. This means analytics can be used to identify patterns that come up again and again among patients who share certain characteristics. There are many factors that contribute to building these personas. As we mentioned already, age is one factor. Other common factors are gender, marital status, family status (i.e.,, children or no, and how many), geographic location, income level, education level, culture/ethnicity, local availability of a support network, past behaviors, and of course disease state and co-morbidities. All of these can be used to create an algorithm-based score that delivers a clear understanding of a patient’s prospective risk in terms of the level of additional medication and medical services they will require as measured in dollars. Armed with this information, data experts can begin piecing together the components that are most relevant, and most different from the others, in order to create a series of personas that deliver a reliable picture that can then be applied across large segments of the population. Life sciences organizations can use personas in a number of ways. One important factor, as mentioned previously, is determining the reasons behind non-compliance. If Patient A fits into a persona with a history of non-compliance for a particular reason (such as the left turns example), this information can be shared with payers and rolled up to healthcare professionals – who can then make adjustments to the program, such as changing to a mail order pharmacy or using available community services to make sure they are delivered. They can even do it preemptively to avoid potential issues. Managed Care, Marketing and Market Access teams can also use the science of the data behind the personas to demonstrate the ROI of spending additional time educating healthcare professionals who treat certain patient types known to have high non-compliance. They will gain a clearer understanding regarding the risks of patients getting sicker, or how much more time will need to be spent with them if the plan of care isn’t followed. While it is not a guarantee of healthier and less-expensive patients since other factors are involved, this data can certainly help demonstrate the contribution that higher compliance and more targeted education can make. This approach will eventually lead to a life sciences/payer collaboration on risk-based contracting, with the long term health of the patient being front and center. Sales teams are the other groups who can leverage the insights provided through personas to deliver more closely targeted messages to spur sales. Just as consumer products companies change their market mix by store, life sciences organizations can focus their efforts based on factors such as disease prevalence in a specific region. For example, Hispanic populations are known to have higher incidences of diabetes than the general public. Teams marketing into areas with a high density of Hispanics may want to focus on products and educational resources for understanding and identifying the non-diagnosed diabetic patients. They can then work with the professionals in that area to be proactive in managing that population before the prospective risk leads to higher patient and systematic costs. Including lab results when building personas can provide even more guidance on the prevalence of the condition in that particular region. The team can then compare the effectiveness of their solutions with that of competitors to show how their products deliver better patient outcomes for those personas, making a very strong and specific case. In some instances, a persona may identify that there is very little chance a patient will achieve compliance no matter how much effort is put into them. This information is also highly valuable. If the intervenability score is low, it makes no sense for payers or healthcare organizations to invest their limited resources trying to change it. Knowing that ahead of time allows them to apply their resources where they will do more good. Down the road, it is expected that life sciences organizations will collaborate more closely with payers and healthcare professionals to more directly influence patient compliance. Life sciences will deliver persona-based information to payers, which is the first step in creating an open and trusted dialog centered around the future care and wellness of a patient. The collaboration between healthcare professionals will then ensure their patients receive the information and understand the risks which lay ahead if nothing is done. They will also share how patients can benefit from adopting and complying with the care plan being prescribed. Personas can help life sciences companies break out of the compliance slump by identifying the “why” of sluggish utilization and non-compliance, ultimately allowing for a higher volume of more-targeted at-bats. Once they have the answers, the companies can make the changes to boost their success rates and turn in an M.V.P. performance. John Pagliuca is VP for business development at SCIO Health Analytics, where he leads the commercialization efforts of the company’s SaaS solution suite and advanced analytics within the U.S. Life Science market. He has more than 15 years of sales, marketing and technology experience in quantitative analytics and SaaS solutions for Life Sciences. Mark Feeney is a life sciences consultant at SCIO Health Analytics with more than 20 years of experience working with physician influence networks and key life science opinion leaders on resource deployment, sales force strategies, geo-marketing analysis, and the use of patient-level longitudinal and prescriber Rx data.